While logging is important, the information provided in logs is incomplete without monitoring data. 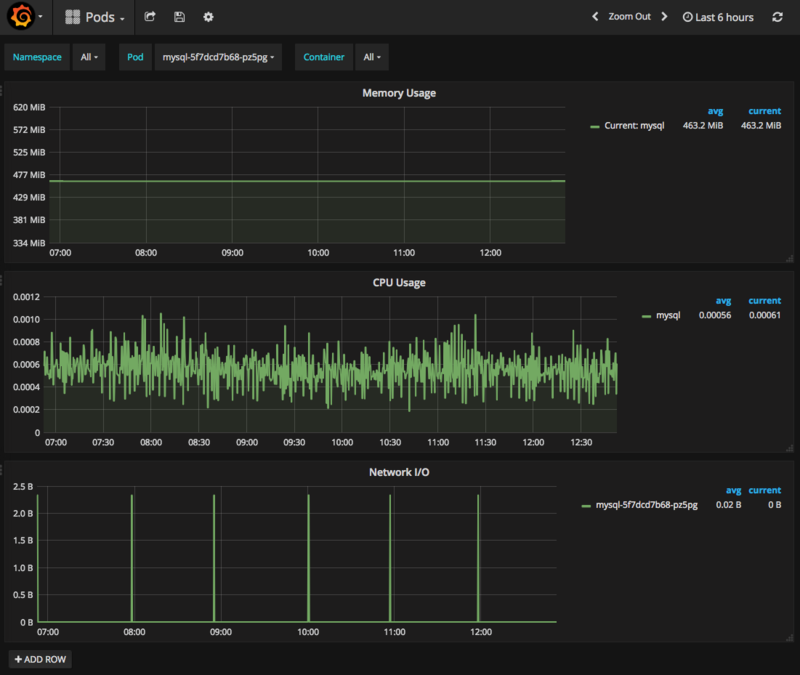 The Rackspace KaaS monitoring solution is based on the popular Prometheus and Grafana bundle. Prometheus is a powerful monitoring and alerting tool for distributed systems that assists cloud administrators in watching the health of not only the Kubernetes nodes but the workloads that run on the Kubernetes cluster as well. Data visualization powered by Grafana provides insights into the cluster health through a web-based graphical user interface. Rackspace KaaS deploys two instances of Prometheus in each Kubernetes cluster. One instance is for Kubernetes applications monitoring and is for Rackspace customers. The other instance monitors the Kubernetes cluster itself and is for Rackspace operators. Customers can view the Prometheus internal dashboard but cannot modify any existing settings or add new settings. Both internal and customer-facing Prometheus instances are preconfigured as data resources in Grafana. Because Prometheus' primary focus is operational monitoring, KaaS stores only the recent Prometheus log history. For optimal storage use, the default retention period for Prometheus logs and data is set to three days. However, if you need to store Prometheus data for an extended period of time, the retention policy can be adjusted. To increase data retention period, contact your Rackspace representative or submit a support ticket. Rackspace KaaS provides preconfigured dashboards for the cluster resource monitoring including resource utilization analytics for Pods, Deployments, Kubernetes nodes, etcd nodes, as well as other useful information that might help you with cluster capacity planning. When you create a new Pod in your Kubernetes cluster, Grafana automatically adds it to the preconfigured Pods monitoring dashboard. Therefore, you can monitor Pod resource utilization through the Pod dashboard. If you need to set up additional metrics to track the health of your Kubernetes applications, you can do so by creating or importing custom Grafana dashboards and using them with the customer-facing Prometheus instance. Log in to the Grafana UI by using the URL and credentials provided in Access the Rackspace KaaS dashboards. Select a dashboard to display. For example, Pods. You can select a namespace and Pod to display. For more information about using Grafana and Prometheus, see Grafana documentation and Prometheus documentation.